Black Willow Live Stakes For Sale - Lowest Prices Online! Black Willows Live Stakes are not only a majestic-looking tree, but they also provide nice shade and are low-maintenance. 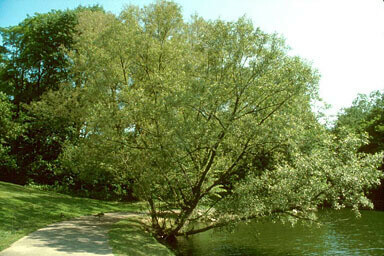 Black Willow Live Stakes - Salix nigra. 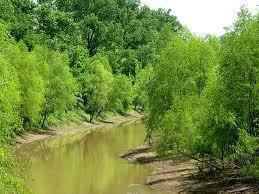 Black Willow trees are commonly found near streams and rivers. They are relatively small trees that have dark bark and bright green, elongated leaves. Due to their size, they are ideal for ornamental purposes and make a perfect addition to your yard. The Black Willow Live stakes are cuttings from live trees that can be directly planted into the ground to take root. They are best installed during the dormant season, which is late fall to early spring. Black Willow Live Stakes can be classified as both a large tree or a large shrub. They have twisted multiple trunks that grow from the same root system. This tree can grow in moist soil. The leaves are small and skinny and can grow up to four inches long. The bark is darker in color, sometimes looking dark brown or black. The fruit that the black willow tree produces is small reddish brown color and contains seeds that will drop out and plant new trees. It is recommended to stake this tree up in the younger years until it establishes itself. One of the oldest Black Willow trees can be found in New Jersey and is stated to be over 150 years old. The roots are bitter but can be used to treat headaches and cough. It has a small fruit that can be yellow or brown. This tree has tiny needles that are almost black. Black Willow live stakes will do well in extra moist soil conditions. This tree will grow in wet soils and can also do good in poorly drained soils. They are often found growing in places where moisture collects such as drainage areas, creek beds, drains or on the side of the road. This tree can provide you with lots of shade and an immense beauty to watch in the coming years.